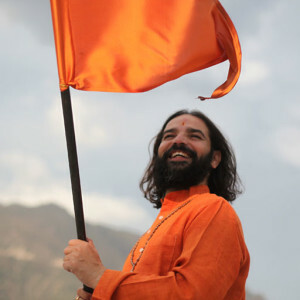 Plus accommodation fee to be paid to the ashram office upon arrival according to their Rupee pricing at that time (approximately equivalent to $15 per day including shared room and meals). 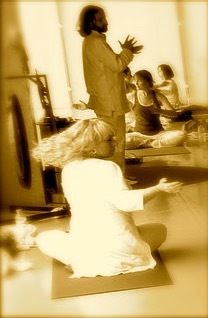 Date & Time Details: Arrive in the afternoon on March 6th for 3 PM Orientation before afternoon yoga. Curriculum ends at 4 PM on March 16th. If you stay overnight, check out is March 17th at 10 AM. This 10-day residential training course at Anand Prakash Ashram in Rishikesh, India, offers a profound personal and professional development opportunity. Explore the chakras and the nadis of the energy body, learn dynamic asana, pranayama, mantra, mudra and meditation to purify and expand the pranic field, as well as tools to support advanced yoga practices. You will also learn Classical Kundalini sequencing and do a teaching practicum so that upon graduation, you will be certified to teach Akhanda’s Classical Kundalini classes. You will come away deeply revitalized and with the confidence to bring these advanced Tantric practices home to support both you and your students. Teachers will get a certificate for 100 CEU hours. 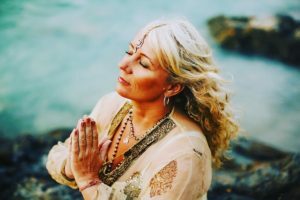 Shiva Shakti Power is designed to be an intensive Ashram residential experience, providing you with an experiential and practical understanding of Classica Kundalini Yoga.